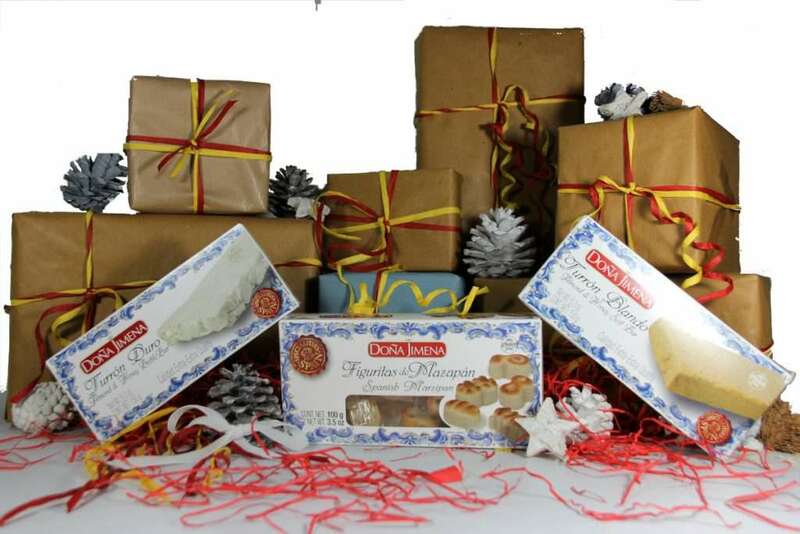 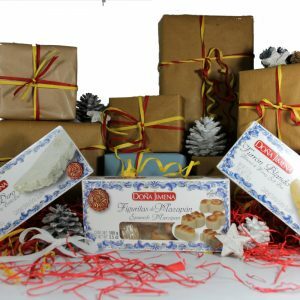 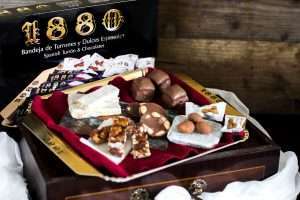 A gift pack containing three traditional sweets from Dona Jimena. 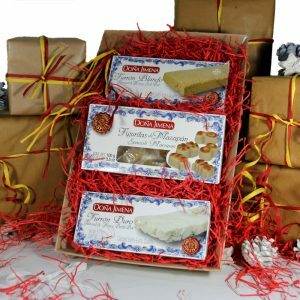 Crunchy Turron de Alicante, soft Turron de Jijona and traditional Marzipan figurines - all packed together in a card tray with red shredded paper and hand-tied with raffia. 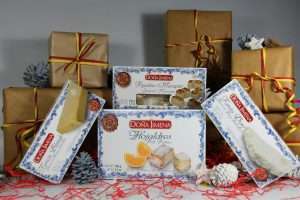 A lovely little sweet gift!